Flicker Diamond Bangle is a simple and elegant design that meets excellent craftsmenship. Superb and classy, glamourous yet understated, this banglet is a symbol of superior art and design. 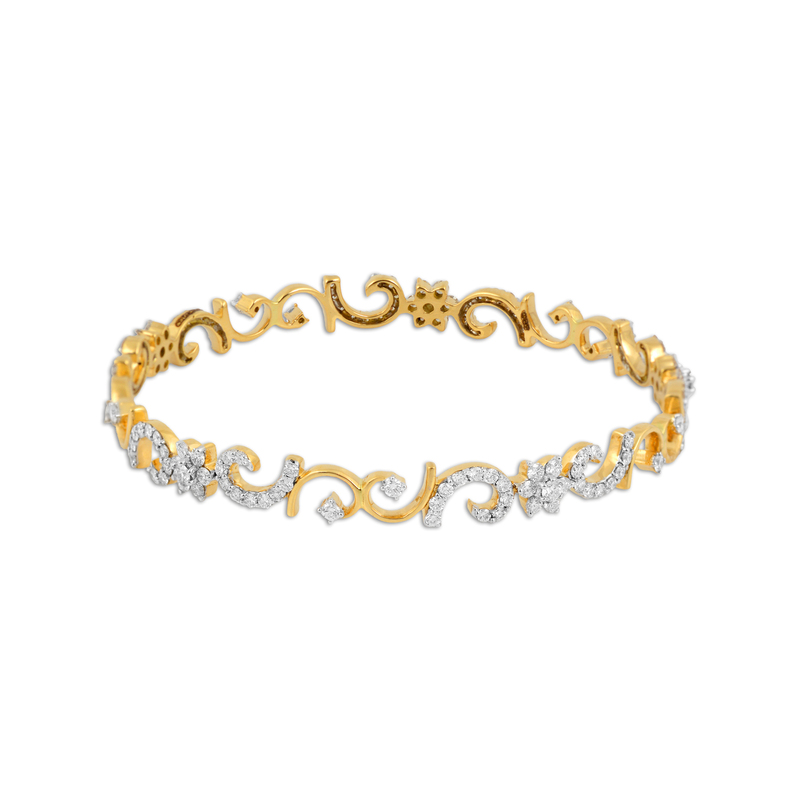 The bangle is beautifully encrusted with 145 gleaming diamonds giving a spectacular floral charm to the overall design. Grace your presence by wearing this stylish bracelet and get ready to attract the attention of onlookers! !